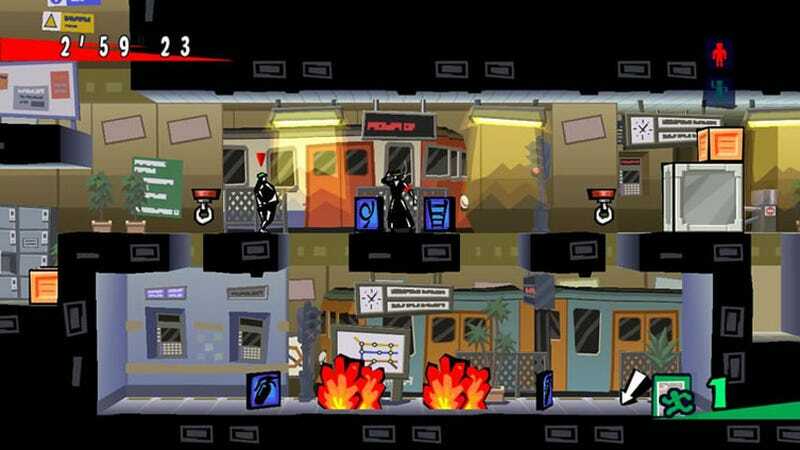 The follow-up to Taito's platformer-puzzler Exit is your Xbox Live Arcade game of the week, giving Mr. ESC all new burning buildings to escape from and near-death experiences to help others avoid. The sequel, Exit 2, gives fans of escorting the helpless 240 new stages to play through. Mr. ESC will be joined by two new companions, "Macho" and "Dog," along with the cast of lovable losers from the first. Price? A mere 800 Microsoft Points. A mere 0.3 Points per stage! That's value!